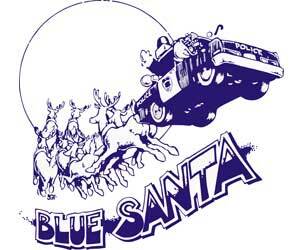 Austin Police Operation Blue Santa has been a program for the Austin Police Department since 1972. This charitable outreach began when two patrol officers realized that some families on their patrol beat would not have gifts or food for their children at Christmas. What began with gift distributions to 20 families from the back of a patrol car has become a massive effort in partnership with the Texas National Guard, the Austin Fire Department and Austin Parks and Recreation. The community is generous in their support, contributing to many events, including the Chuy’s Children Giving to Children Parade, held the Saturday after Thanksgiving each year. All the toys collected during the parade are donated to Austin Police Operation Blue Santa.